Keeping the perfect kigurumi looking great is not difficult. The trick lies in using the right cleaning materials and methods. With the right treatment, a kigurumi can last for many years. Check the kigurumi before washing to see if it needs repairing or if there are loose pieces. 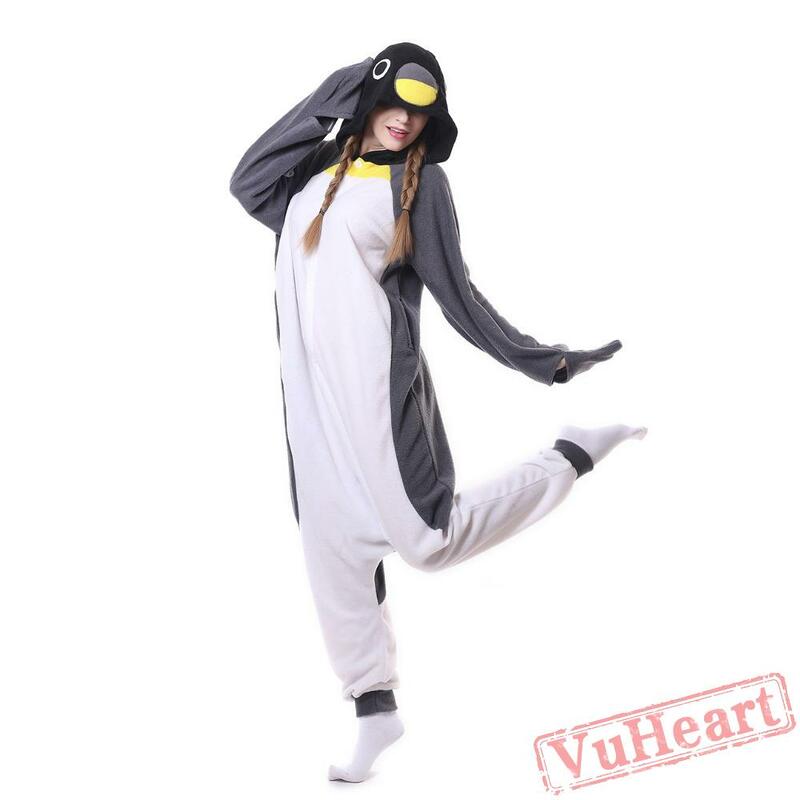 Kigurumi are meant to be baggy. If washed in hot water, the outfit can shrink, making it uncomfortable to wear later. Use cold water and mild detergent. Set the machine to the gentle cycle, and remove the kigurumi from the washer when the cycle completes. Fabric softener helps to keep the garment soft and static-free, but it is not required. Remove the kigurumi from the washer immediately and hang to dry. Check it periodically to see how far along it is in the drying process. Once it is just damp to the touch, tumble dry on the lowest heat setting. This keeps the kigurumi from shrinking, but leaves it dry and soft. Do not iron kigurumi, as that can cause some decorations to fade. If the kigurumi has fur, fluff the fur gently before wearing. When a kigurumi gets a stain, spot cleaning before washing is important. Dab a small amount of mild detergent onto the stained area. Rub gently to make sure that the entire stained area receives some detergent. Wash immediately, or soak in cold water for an hour. Wash as usual, but make sure that the stain is gone before putting the garment into the dryer. If you're washing your kigurumi onesie for the first time, we recommend using the gentlest setting on your washing machine using cold water and any laundry detergent. This is to keep the fleece fluffy, protect the detailing on the face, and to prevent any dye from bleeding. For subsequent washes the color should be set and you may use warm water if you wish. Fabric softener is optional. *NEVER use chlorine bleach on your kigurumi onesie. Non-chlorine color-safe bleach is okay. We prefer to hang our kigurumi onesies to dry, but they take more than a day to dry. If you are feeling lazier (or you just can't wait that long), you can use the gentlest setting (usually air dry/fluff air) on your dryer. What you want is the setting that uses room temperature air as opposed to hot air, which will promote shrinkage. Although not neccessary, dryer sheets will help prevent excess static on your kigurumi onesie (you can also just rub it down with a dryer sheet if you ever find it too staticky). To prevent wrinkles, try to take it out of the dryer as soon as it's done and hang/lay it flat. *NEVER iron your kigurumi onesie. It won't be pretty. Turn your kigurumi inside out. This keeps the fabric from getting nappy. Put it in the washing machine! Yep, our kigurumi are washing machine safe. Use any detergent you'd like. We also recommend adding fabric softener to keep your kigurumi from feeling stiff after you dry it. Wash your kigurumi on "Cold" for its first cleaning. This helps the color set it. After the first wash feel free to use the "Warm" setting. You can use the "Normal" or "Permanent Press" cycle on your washing machine. If you're worried about your kigurumi, the "Gentle" cycle should also do the trick. After the washing machine, you can either put your kigurumi in the dryer or hang it out to dry. If you hang it out to dry, be sure to keep it out of direct sunlight. If you use a dryer, we recommended using either the "Air Dry" or "Fluff Air" setting. You might need to run it through the dryer twice on these gentle settings. Turn your kigurumi inside out.Wash on Cold using your "Normal" setting.Dry using "Air Dry" or "Fluff" setting (no heat) or hang to dry.